PureNRG - Era - Solarstone. The live-on-stage super-grouping of PureNRG has, over the last 12, months been one biggest headline-grabbing arrivals to seize the trance scene. With perfect synergy, it has brought together the respective musical perspectives of Solarstone & Giuseppe Ottaviani, which has gone on to drop jaws in clubs from New York all the way to Melbourne. 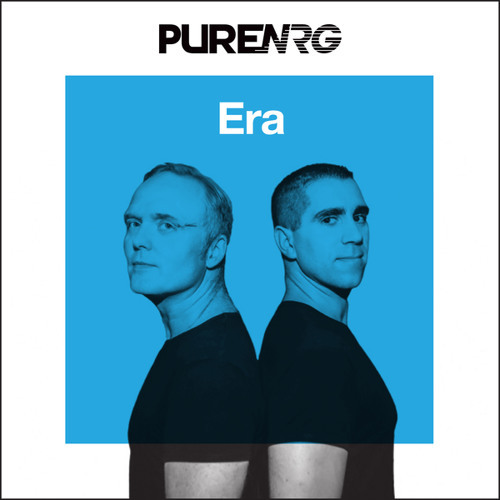 Having given dancefloors a thorough scorching with their debut outing ‘Pump Up The NRG’ in the spring, the pair are now primed to let that PureNRG studio-lightning strike for a second time… Put your ears to ‘Era’ now. Down in ‘Era’s engine room, Giuseppe Ottaviani works his booming, racing NRG-ist magic, with bounding drums, bottomless bass and crowd accelerating sub riffs. Pure vanguard Solarstone meanwhile drafts the highest-grade trance refinement into the track’s upper reaches. Chiming harmonics, long held synth notes and zooming pitch-wheel mechanics culminate in a brilliantly orchestrated symphonic break. quick to give it set & radio spins.